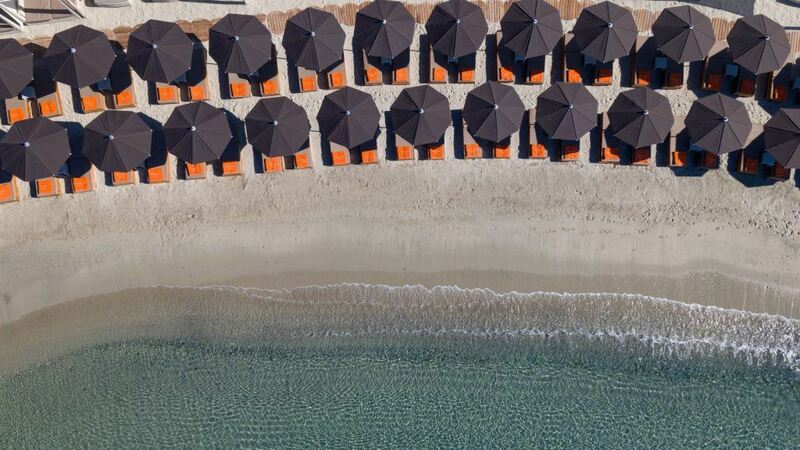 After three years of high-end refurbishment, Santa Marina Resort & Villas is now one of the most luxurious places to stay in the Mediterranean. Enjoy utmost lavish accommodation by spending your vacation at the superb retreat of Santa Marina on the idyllic Greek Island of Mykonos. The unique location of this fabulous hotel is out of this world, especially with the most beautiful unrivaled views of the Aegean Sea. 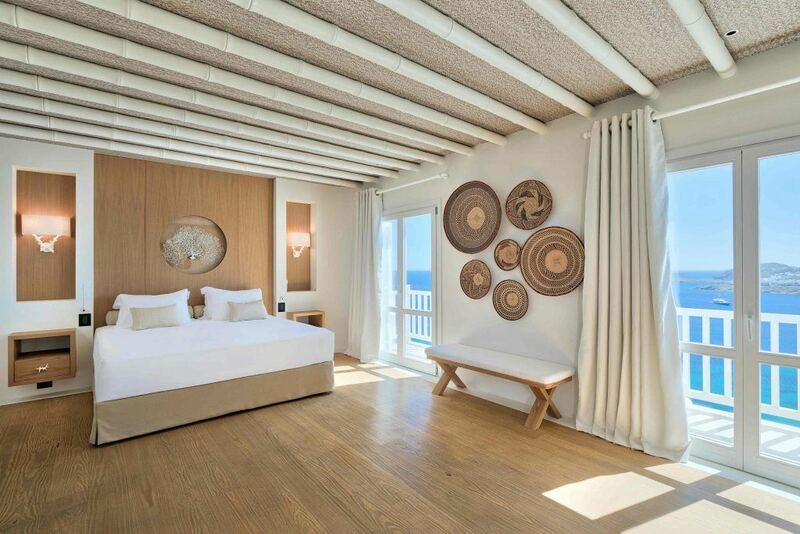 The renovated Superior, Deluxe Rooms and Suites offer the most breathtaking sea views. They all have been luxuriously furnished throughout, exquisitely refurbished while offering guests the uttermost privacy. Take a leisurely stroll around the charming gardens and refresh your mind and body on Santa Marina’s private sandy beach. 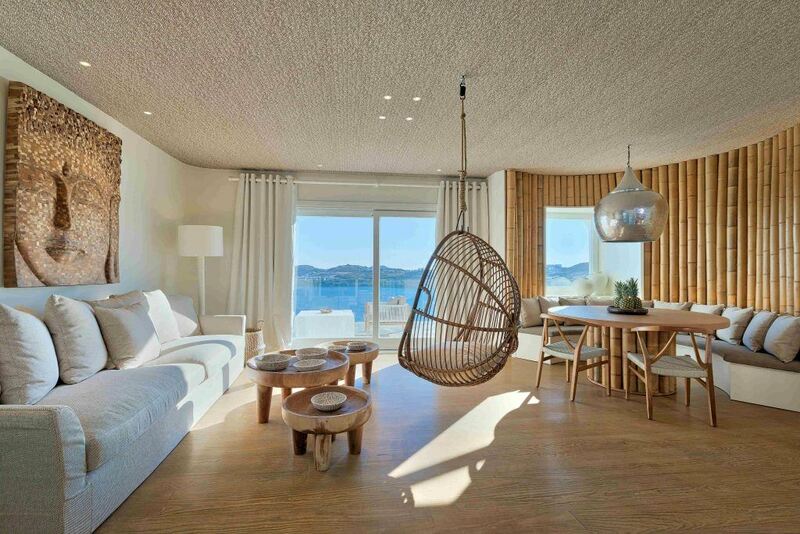 The innovative designer Silvina Macipe Krontiras has created a spectacular design for the interior of the Resort, gracefully giving a feeling of warmth, tranquility and sophistication. The magnificent new infinity pool and OASIS Pool Lounge are ideal for relaxing and socializing. Comfortable sun loungers and sunken soft seating, provide the most comfortable and loose setting. The Oasis Pool is perfect for swimming under the Greek sun while the Colonial infinity pool features a relaxing open air whirlpool and panoramic views across the Aegean Sea. 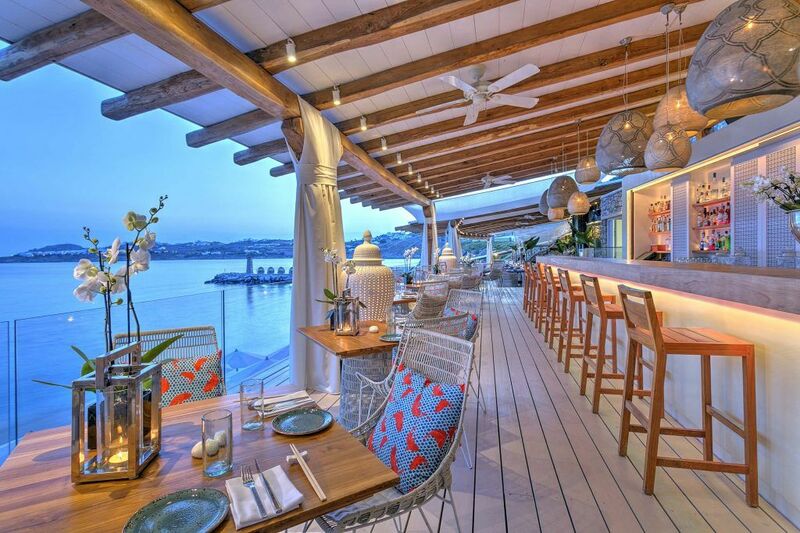 Enjoy signature dining at Santa Marina’s Colonial Pool Restaurant with inspiring Mediterranean and Greek cuisine. Savor a private dining experience on the beach with lights shimmering in the distance and twinkling stars above. 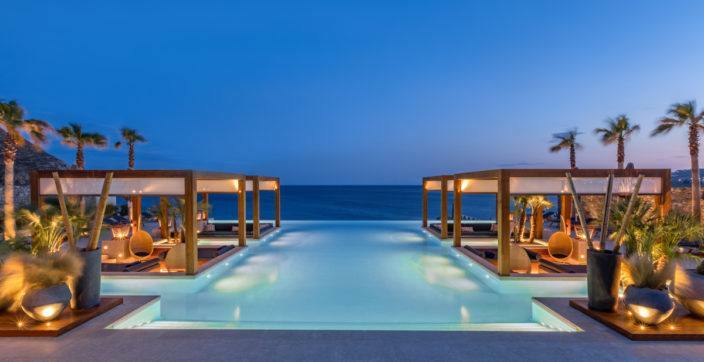 Moreover, on this secluded peninsula, Santa Marina Resort features the world’s first Buddha Bar Beach. Indulge yourself with a fancy cocktail, healthy snacks, famed Buddha Bar’s sushi experience and many more. 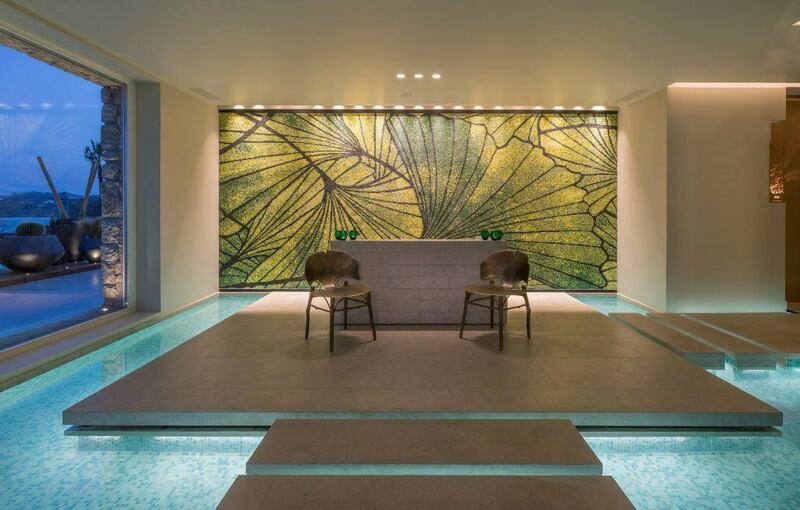 Rejuvenate yourself at the brand new Ginkgo Spa of the resort. 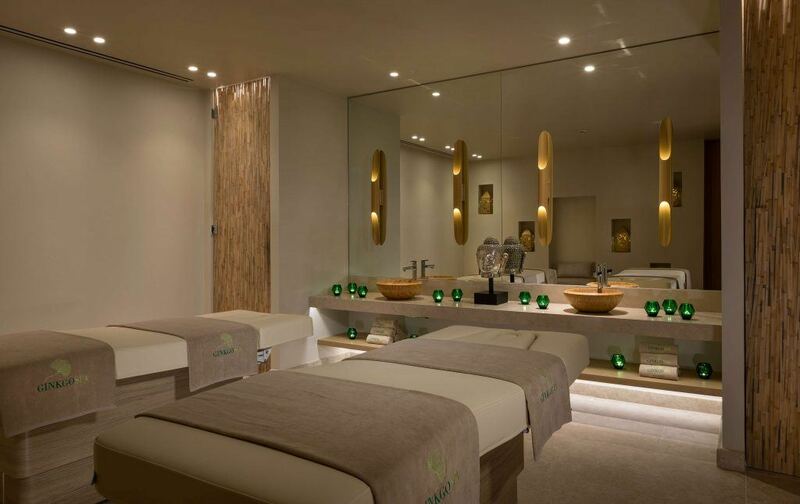 A state-of-the-art spa experience awaits you there. The neutral aesthetics and flowing water, creates the right balance between energy and calm. With bespokes style, tranquil atmosphere and five large treatment rooms, let professional therapists pamper you. The mosaic-tiled hammam provides traditional therapeutic spa treatments as well as a rejuvenating sauna to ease those tired muscles. After restoring the natural rhythms of your body, relax in a special area that has shallow waters, long curtains and comfortable beds. Escape the crowds, enjoy the luxury lifestyle. 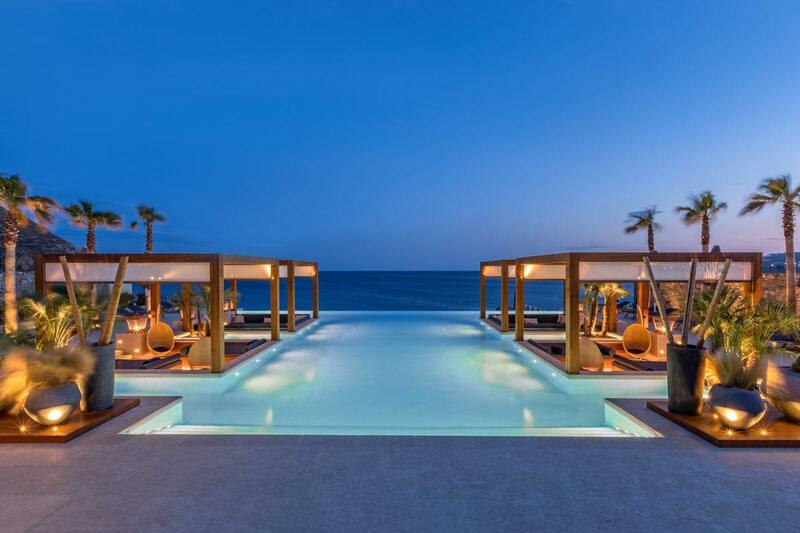 Welcome at Santa Marina, a Luxury Collection Resort, Mykonos!